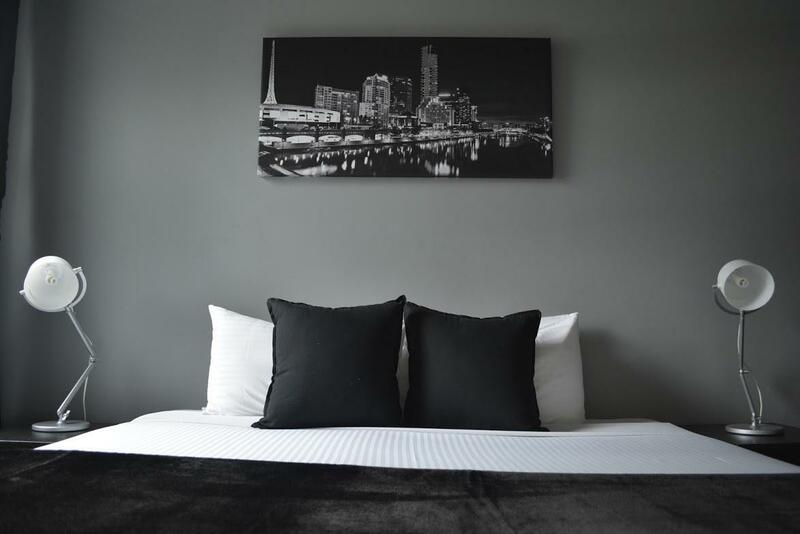 يقع في Melbourne CBD, Urban Central Accommodation إنه المكان الأنسب لاكتشاف ملبورن و ما يحيطها. يقع مركز المدينة المثير على بعد 1.9km فقط. بالنسبة لمن يريد الخروج، هذه بعض المعالم السياحية المتوفرة للزوار اميرالد هيل, جنوب ملبرن, Southbank Library at Boyd. يقدم Urban Central Accommodation خدمات لا غبار عليها وكل أشكال اللياقة وحسن الضيافة اللازمة لإسعاد ضيوفه. يقدم الفندق فرصة للاستمتاع بشريحة واسعة من الخدمات بما فيها: مكتب الاستقبال على مدار الساعة, مرافق مخصصة لذوي الاحتياجات الخاصة, تخزين الأمتعة, واي فاي في المناطق العامة, صف السيارات . تعكس غرف الفندق البالغ عددها 121 المنتشرة في 5 طوابق جواً من الدفء والألفة.خدمات عصرية مثل تلفزيون بشاشة مسطحة, سجاد, قهوة فورية مجانية, شاي مجاني, بياضات موجودة في بعض الغرف المختارة. يمكنك طلب اللائحة الكاملة للخدمات في الفندق ومن بينها بلياردو, كرة الطاولة, غرفة ألعاب. إن Urban Central Accommodation هو خيارك لخدمة الفنادق الراقية في ملبورن. I wanted a cheap place close to the centre of Melbourne. This fitted the bill. Honestly I was disappointed of this hostel, the price is quite high, no free wifi, they watch you a lot so that nobody outside of the hostel come, the staff is not really helpful, I was missed two of my booked nights and they make me pay full (never happened to me in Asia) and checked in at 2pm like everyone even if I was supposed to be in the hostel days ago and I paid for it !! The only positive point everything is so clean !! I have stayed here for 3 months, I met a lof funny friends. Free bastekfast , Cheap, and good loction. It's awsome. Only one thing is not good. There is no free wifi. You need to pay$3 per day. So expensive for backpackers. Great location, there were 2 of us & we opted for a room that slept 4, just to ensure we had a room to ourselves. Large room with comfortable beds, modern bathroom. For the price & location this is well worth the price. Will definitely consider staying here again. This was a great hostel to stay in as the room was discounted by 80% for my stay. However at full price I would have preferred to pay a little extra and stay in a hotel, even if that put me further out of the CBD. 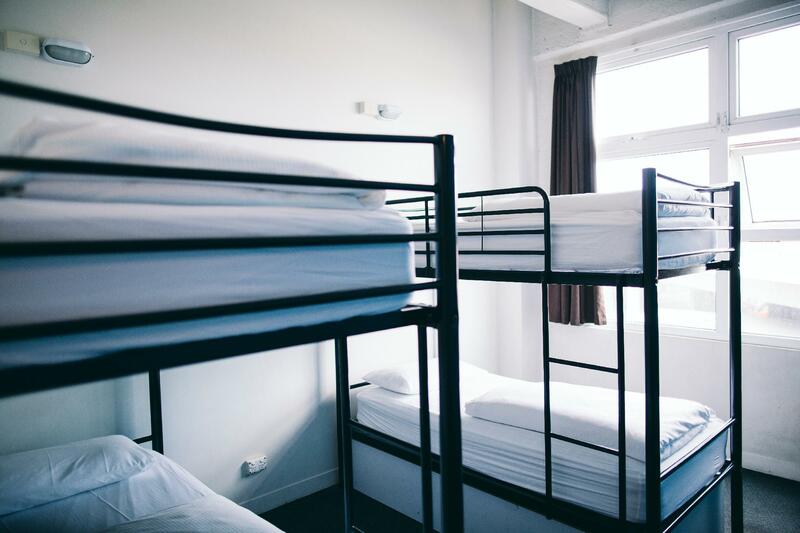 The facilities were satisfactory, however my room had two (2) broken lockers and bathroom facilities were often quite dirty and had broken equipment within. Is consider cheap, but far from the town area. Open and close the door room very loud.The rest still ok. Brilliant cooking facilities, bar, and communal area. Bedroom was spacious and clean. Would definitely stay here again! well priced budget accom. we got a family room sleeps 4 people. we had our own bathroom & toilet. quiet room, comfortable. this is our 3rd stay here, will definitely be back. Good value for money, friendly staffs, very clean public area and free coffe tea rice pasta!! Thank you for taking the time to review your stay with us. Great to hear you found us good value for money and the staff very friendly. Regards. All hostel should copy them. Its well managed. Hi Shakir, many thanks for taking the time to write your review. We are really pleased that you enjoyed staying with us and how we manage our property. Hope that you stay with us again if needing accommodation in Melbourne. Happy travels. Cheers, the Urban Central team. Smelly woman in my room . She had not shower and no wash clothes more than 3monthes. Her smell s Homeless cats and Cockroaches and str ong ODD. I couldn't sleep. Feels vomiting. I spread deodorant splay her bed ,and often open door. Location was far and anoying conbection tram from CBD. No free Wi-Fi. In morning, cleaner was anoying. I couldn't cooking with relax. Because cleaner had to much wash and wipe with lash, al ogance , self centred. man cleaner was kindly. Women's was rude. Pros: Great location. You are very close to downtown. Across the bridge and 15 mins walk, or you can take the tram but why bother? Good $ saver. And very friendly super helpful staffs willing to help. Cons: bathroom can use better lighting. Bunk bed needs some repaire or updates. Overall: give up some comfort for the $ and location. 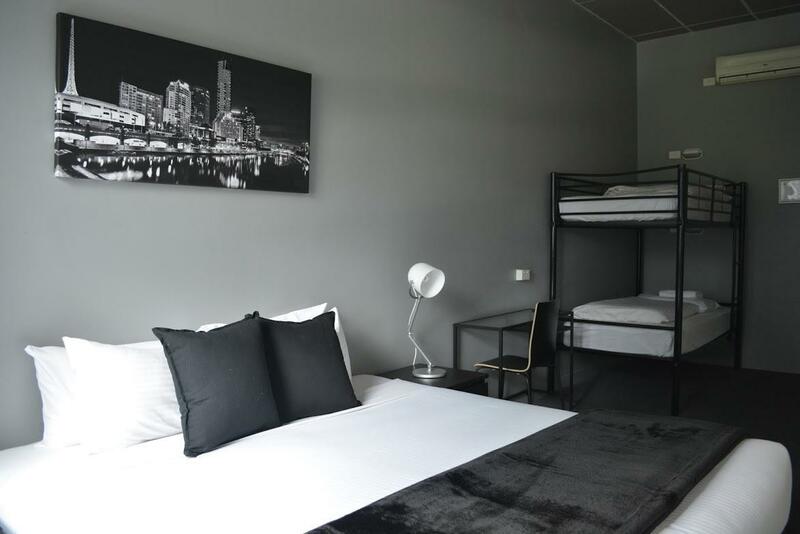 It's a great placeto stay for us a it's not too city centre but it's not far to walk to the city centre. There is halal kebabs along the way from Melbourne city to the place. We were in the family room and it was super comfortable with double bed and a bunk bed. Definitely worth the price to stay here. There's a McDonald around and you can enjoy the simple but bountiful breakfast at this place. Were ther for one night only but would stay longer if time permits. 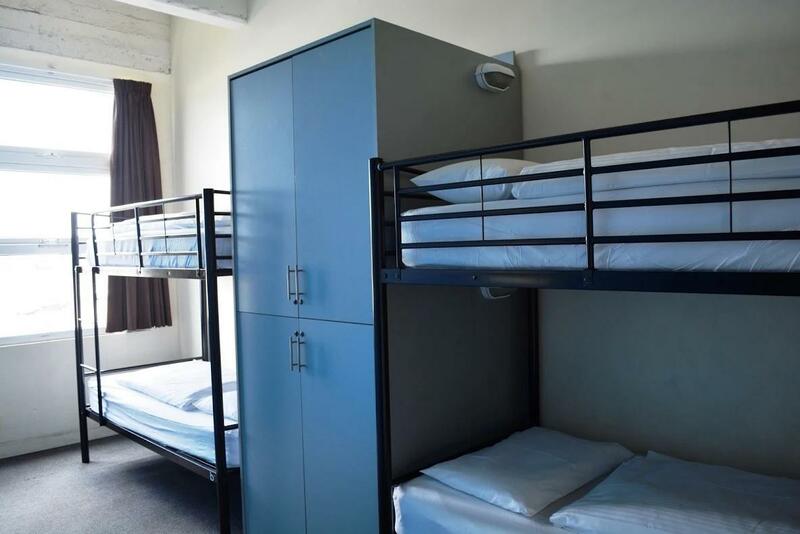 It was the best among the three different dorms (also the highest cost compared to the rest) while during my stay in Melbourne. The room I stayed has four beds, which is not so crowded. The mattress has no smelly. No sounds can be heard from the vehicles outside the window. The Kitchen facilities are nothing much to complain. The toilets are clean (not to be so picky). The convenience of getting tour package available just at the ground floor. There are multi-national mates (not so many of Asian) The only not-so-good is that it is located a bit far from the CBD area (approx. 300 meters). Nonetheless, I recommend it to everybody to give it a try. Better than expected. Just needed somewhere to central to sleep while in the city. Big, clean, comfortable room. 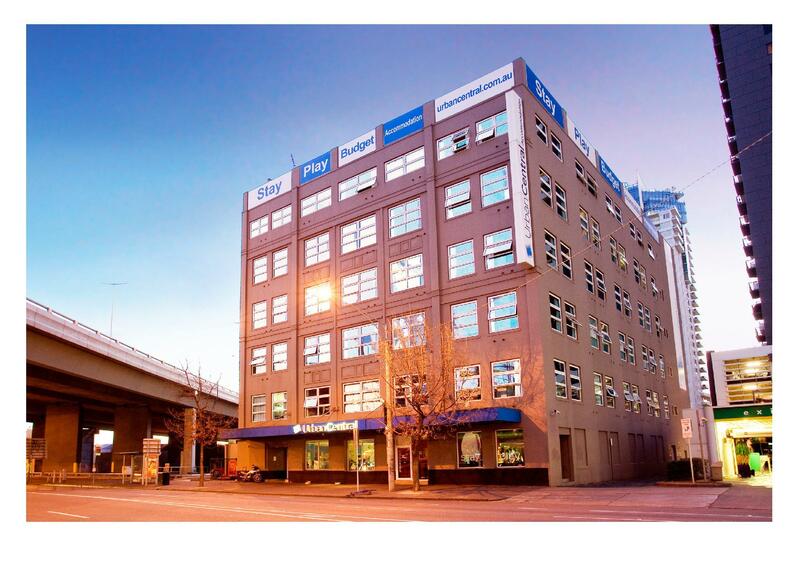 Great location, walk to CBD, close to sights and transport options. Very pleasantly surprised. Would definitely stay again. I had a great stay for 4 nights here. There's elevator available in the building which I found it is very convenient especially with alot of luggages. Many budget hostel only have staircase. The guest are also secure with the access card. The staff are helpful and help me to change to female dorm instead of mixed dorm. Room was great with only 4 beds and spacious. Toilet is clean but the shower have irregular hot water supply. The location was fine, just few meters to tram and 20 mins walk to south station. Overall it is a recommended place to stay and worth the money.